Laudato Si Week recap – What a way to celebrate! Words cannot describe the warm feeling in our hearts from all the Laudato Si’ Week action that happened last week to celebrate the first anniversary of Laudato Si. 1) The week began with an interfaith day of celebration with GreenFaith’s Sacred Earth, Sacred Trust on June 12. The response to our Sacred Earth from our interfaith brothers and sisters was astounding, and we did a strong call collective call for action on climate change in over 150 events worldwide, as a follow up of the Paris Agreement. 2) We continued to celebrate with over 300 local Laudato Si’ events in parishes and communities of more than 30 countries throughout the week. These included Eucharistic celebrations in the Amazon, a launching of GCCM-Pilipinas in the Philippines, and educational forums in Bangladesh, like these photos below. Laudato Si Week events in Bangladesh, Nigeria, the Philippines, Ireland, and Guatemala. Click here to see more pictures from Laudato Si Week events around the world. 3) We hosted the Laudato Si’ Online Conference during which prominent leaders dialogued in depth about Laudato Si’ and each of its chapters. Vatican officials, world-renowned experts, faith leaders and theologians spoke passionately about the encyclical and what it means to them, to us, to the whole world. 4) There were great strides made in the arena of fossil fuel divestment to commemorate Laudato Si Week: four Australian Catholic organizations made a first-ever joint Catholic divestment announcement and we announced a Catholic Divest-Reinvest online hub with resources and news for Catholic divestment initiatives. 5) Our week was complemented by stories in the news media, such as the Christian Science Monitor and the placement of Op-Eds in Huffington Post, Christian Today, O Globo, Philippine Daily Inquirer, Instituto Humanitas Unisinos, and others. 6) Finally, the week wrapped up with a massive social media campaign to thank Pope Francis for Laudato Si and to showcase how Catholics around the world have committed to #LiveLaudatoSi. On Saturday, June 18, the message shown below was shared with over a million people on social media. 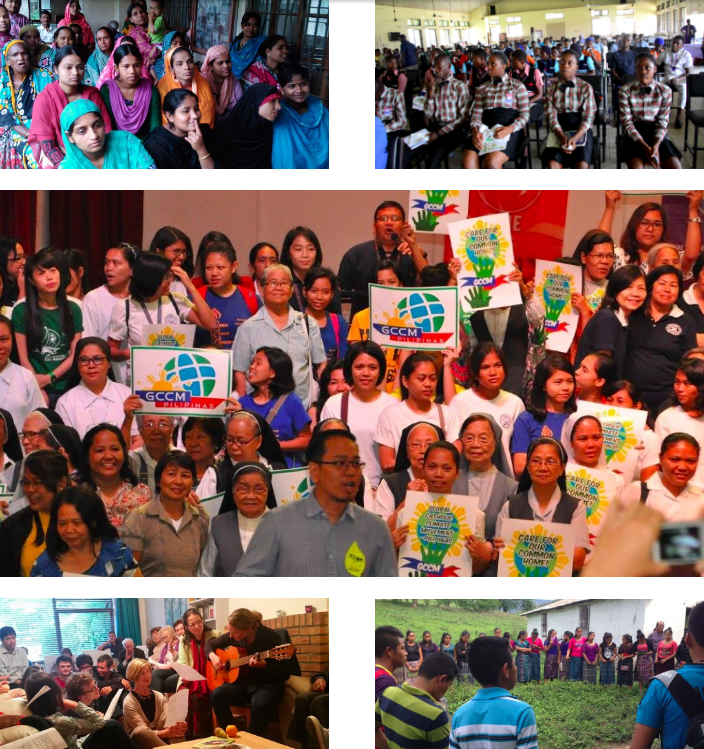 From the bottom of our hearts, we thank all of you for making Laudato Si Week truly historic. We celebrate you and are proud to call you partners!